From the #1 New York Times bestselling author Scott Westerfeld comes a smart, thought-provoking novel-within-a-novel that you won’t be able to put down. *STARRED REVIEW* Eighteen-year-old Darcy drops her college plans and moves to New York to revise her soon-to-bepublished novel and start the second one. Meanwhile, in chapters that alternate with Darcy’s NYC adventures, her fictional protagonist, Lizzie, survives a near-death experience to find she has become a psychopomp, responsible for guiding souls to the afterlife. 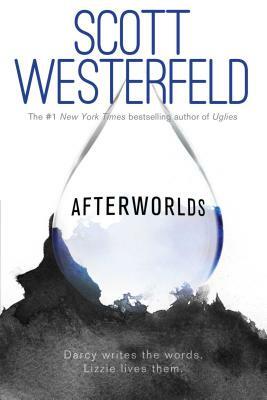 Westerfeld masterfully creates two divergent reading experiences (YA romance and fantasy horror) with two distinct yet believable voices in Darcy and Lizzie—and, somehow, makes them mesh into one cohesive novel. In addition to the details of the fully realized story worlds—and that's worlds plural, as this is a busy book, with content drawn from Gujarati culture and Indian religion—this book includes romantic entanglements, a charming lesbian love story, terrorism and justice, and insider references to the YA publishing and literature scene (including several references to the Michael L. Printz Award) that will have librarians grinning in delight. Westerfeld deftly and subtly captures Darcy’s immature authorial voice, even including a few underdeveloped plot points that differentiate it from his own polished prose. There are no notes about cultural sources, but an extended conversation between (fictional) YA authors explores these issues, offering a few perspectives on respect and appropriateness. Get plenty; this one won’t stay on the shelves. HIGH-DEMAND BACKSTORY: Westerfeld, author of the hugely popular Uglies and Leviathan series, goes meta in a big way (this thing is the size of an anvil). Expect tons of YA-world gabbing and gushing.